Leadership Del Rio is a program offering a unique curriculum designed to promote present and future leaders for the Del Rio area. The program will identify those persons interested in the economic and community development of this area. 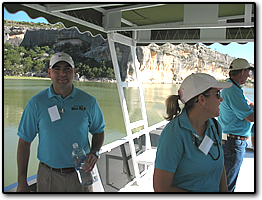 Leadership Del Rio provides a well-rounded perspective of area assets and opportunities while further developing personal leadership skills. Knowing the needs of the area encourages the discovery of solutions for present and future generations. Establishment of a network of community leaders is one of the greatest benefits of Leadership Del Rio. The Program is scheduled to begin in September and continue through May. 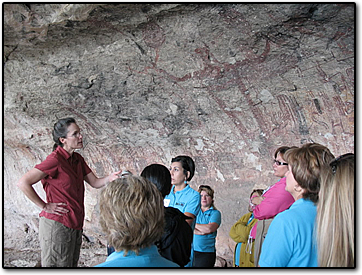 It consists of eight full-day sessions that provide the participants with an awareness of the challenges and possibilities in the area. The curriculum focuses on area businesses, education, social services, tourism/recreation, medical services, volunteerism, county and city government, law enforcement and a variety of leadership skills. Nominees for Leadership Del Rio are solicited from businesses, professional groups, agencies, institutions, civic groups, and interested individuals. Although anyone may apply, the Admissions Committee will limit the class size. Candidates not accepted are encouraged to apply next year. Leadership Del Rio is a commitment that begins from the application and continues through graduation in May. The commitment includes one weekend retreat, eight full-day sessions, and individual assignments. 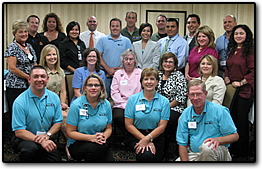 Being a participant in Leadership Del Rio is an investment in one's own future and in the future of the Del Rio area. The program provides the opportunity to improve personal leadership skills, enhance career development, and to gain a better understanding of the assets, needs and resources of the area. Graduates of Leadership Del Rio are encouraged to utilize the knowledge and skills which they have learned, for the betterment of the community, and to assume positions of responsibility in the local area.